I have a new video essay and accompanying text essay up at Press Play. This one, in honor of Halloween, is about the work of one of my favorite living directors, Rob Zombie. In it, I relate some writings by Antonin Artaud to some of what it seems to me Zombie is up to in his work. One thing that struck me as I rewatched all of Zombie's movies over the space of just a couple days to create the essays was how very David Lynchian his last two films have become — Halloween II and The Lords of Salem both remind me of nothing so much as Lost Highway and Mulholland Drive. 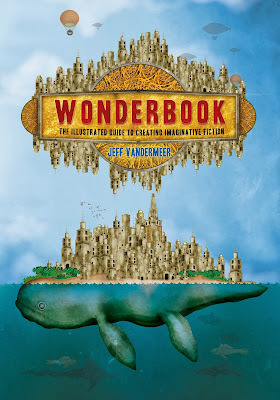 Other obligations have kept me away from blogging for a month, and though I fully intended to mark and celebrate the publication of Jeff VanderMeer's wondrous Wonderbook last week, time was not on my side. I am biased toward Wonderbook because Jeff is a close friend, I was a consultant on the text, and I wrote some stuff for it. But I don't think my biases warp my perception of the book in this case, because it is just undeniably beautiful. Simply as an object, it's magnificent. (And I had nothing to do with the design, layout, or production, so I think I can be at least partially objective about that.) After Jeff sent me an advance copy, I told him I just kept carrying it around with me wherever I went so I could leaf through it. I'd seen a lot of the book before, but there's a huge difference between looking at it as a series of draft PDFs and holding the whole thing in your hands.